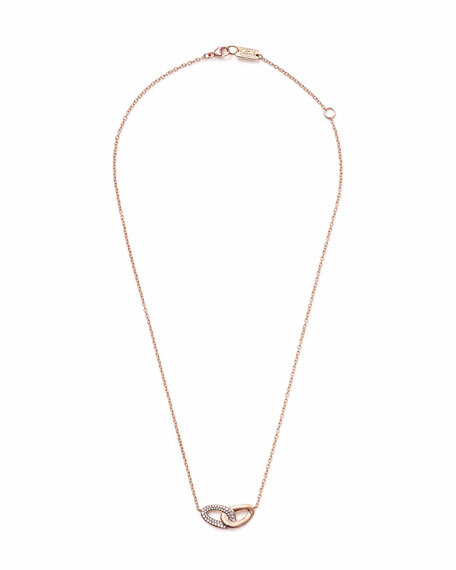 Ippolita bond necklace from the Cherish Collection. Two interlocking links form bonded pendant. Polished link and white diamond pavé link.